Okay, I am not the only one who won an award recently. 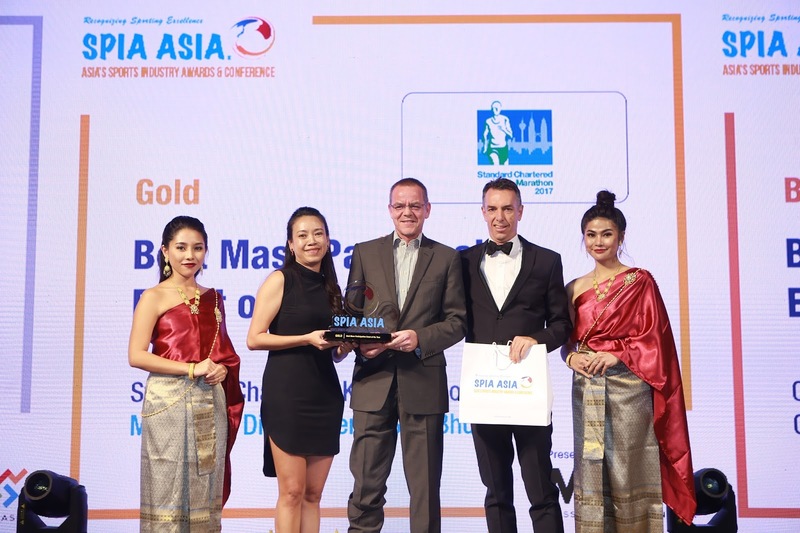 The Standard Chartered KL Marathon (SCKLM) cemented its position as the premier running event in the country by clinching Gold in two categories at the annual SPIA Asia event (Asia’s Sports Industry Awards and Conference). If you ask me, their wins were well-deceived because the event was organised as heck (in my humble opinion). Dirigo Events, the owner and organiser of SCKLM, won for the Best Mass Participation Event and SCKLM technology partner MYLAPS earned the Gold in the Best Sports Digital Platform category for the SCKLM App. SCKLM2017, which was the ninth edition of the event, recorded the highest turnout for the event to-date with close to 36,000 runners taking part. Of these, over 1,700 were international running tourists contributing towards the country’s tourism revenues and in total more than 70 nationalities were represented, making SCKLM a truly inclusive mass participation event. The SCKLM App was developed by MYLAPS and launched for SCKLM2016. To date the App has been downloaded a total of 23,096 since its launch and become the most downloaded sports app in the App Store and Google Play on 21 May 2017, the day of the event, with 1,085,782 screens viewed. “The App has proven to be really popular with our runners as it has useful features like a Live tracking page which allows users to track any runner, all Race Day related info, access to the Runners’ Guide and seamless social media connectivity that allows users to instantly post race photos,” said Gloria Ng, Director of Dirigo Events. 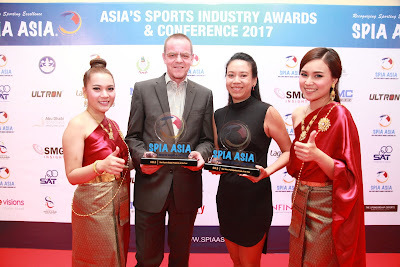 SPIA Asia is an annual event which celebrates the brands, agencies, marketers and organizations which positively influence the sporting landscape in Asia. The Awards are a meaningful and credible platform judged by industry experts, while committed to create legacy through raising funds for local development initiatives. The SPIA Asia Sports Business Conference is the only one of its kind, which brings thought leaders of the industry together to discuss the specific topics and themes that are changing the face of sport in Asia. Congrats, SCKLM and Dirigo Events!